Leading Manufacturer of water treatment plants, water storage tank, ro water treatment plants, industrial ro water treatment plant, ro water treatment plant and drinking water treatment plant from Hyderabad. · With the support of our skilled professionals and high-end technologies, our organization is engaged in manufacturing, wholesaling, retailing, exporting and supplying Mineral Water Plant. · Offered water plant eliminates all impurities such as mud, rust, dust and other micro biological contaminants. Tool tech is one of the renowned water tank manufacturers offers its impressive range of water storage tanks for domestic as well as commercial use. A unique product made from Linear Low density Polyethylene (LLDPE) which can withstand temperatures till about 90 degrees centigrade and still keep the water inside it relatively cooler than the outside temperature. These water storage tanks are cheaper and better, both in design and functionality than its counterparts offered elsewhere in the world of water storage tanks. These tanks come with the facility of 'Threaded Lids' which can be screwed on to the top to keep the dust out. Our Organization is engaged in offering Natural Mineral Water Plant. 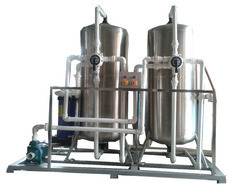 The offered mineral water plants are developed using superior quality material and latest techniques in conformity with set industry standards. These mineral water plants are used in mineral water and food processing industry/ granules. Furthermore, these mineral water plants are properly inspected on numerous quality parameters for assuring its excellence at customer’s end. 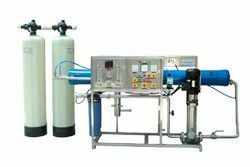 Our range of RO Water Treatment Plant is highly effective in reducing the level of suspended particles and dissolved solids present in the water. Appreciated for optimum performance and high efficiency, these plants can easily eliminate removing ions, metals, organic, inorganic and various bacterial contaminants. 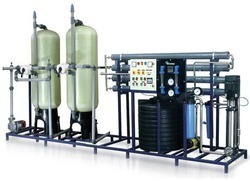 Our organization devotedly offers a comprehensive range of RO Water Treatment Plant. 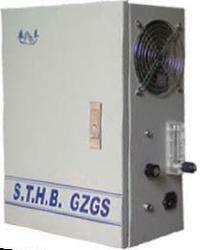 This treatment plant is provided in numerous specifications as per the variegated demand of customers. The given treatment plant is provided in safe temper proof packaging options so as to avoid physical damage while transit. Our treatment plant is well developed from the superb quality components and advanced techniques in accordance with industry norms. 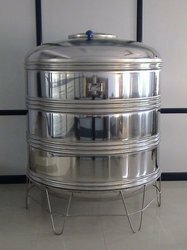 Balance tanks are single walled and the storage capacity varies between 100 till 1000 liters. 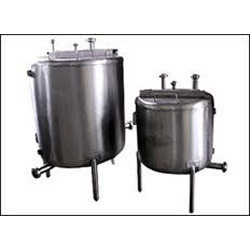 Used for 20 liters mineral water jar rinzing. Looking for RO Water Treatment Plant ?